Delayed by 90 minutes, I sat on my flight to Boston, dejected. 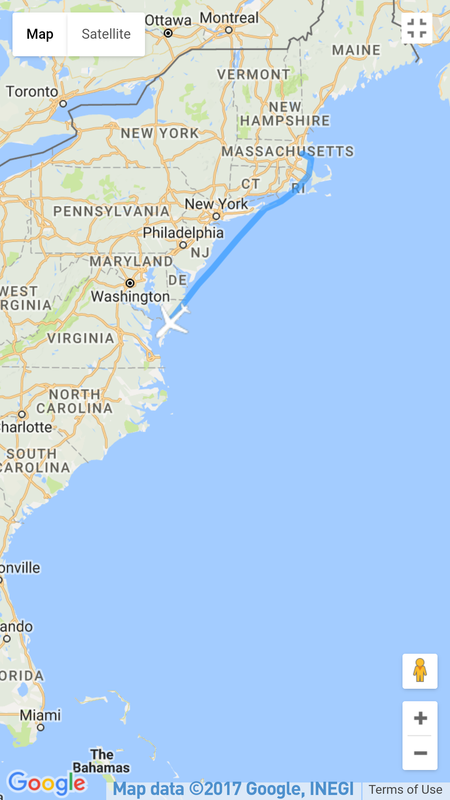 The already narrow window for me to make my connecting flight to Charleston had closed and I was kicking myself for not anticipating this happening… Or at least not recognising that I was stacking the deck against me from the beginning. Oh well, I thought after an hour or two. I forced myself to remember the guy in the film “Bridge of Spies”; when asked by Tom Hanks why he doesn’t appear worried that he could be executed for spying, the man replies “would it help?”. Worrying wasn’t going to change anything so I might as well enjoy the flight and I’d sort everything out on the other end. I’d seen the lady sat next to me before I boarded. Elderly, small, and frail, she had been brought onto the plane in a wheelchair as she was unable to walk the length of the gate. She too was travelling alone. Her English was very basic but we were able to work out through several small conversations consisting of games of charades that she was a mother to 5 sons, that she was going to visit her third son in Philadelphia, and that she was willing to give me her woefully inedible balsamic braised beef with dumplings main course in exchange for my tolerable miniature chocolate cheesecake dessert. “Where you go? Boston work?” She asked. She looked confused. I showed her on the map on the screen in front. “Why?” She asked as my finger reached Charleston. I told her it was warmer and she waved a hand at me as if being warm was something she’d decided was overrated a long time ago. Over the course of the next 7 and a half hours I acted out my mother’s unhappiness with me going for so long, how I was getting between cities, and that I was going to eat everything I possibly could. I helped her to open her lunch, gave up my dessert, helped her out of her seat to go to the bathroom, and only at the end of the flight noticed that she had sat in her seat in the lotus position for the duration. As someone who is about as flexible as a brick, I was impressed. As we descended into Logan international, she gave me a hug and told me that I was her son. No less than 4 babies wailed in harmony as no doubt they were uncomfortable from popping ears and strange sensations they’d never felt before. They synched up beautifully and were genuinely in tune at least twice. After we landed I was informed that, thankfully, my second flight was delayed. Hurray for consistency! I made it through security and to the gate with time to kill. I got to my destination about 22:00 local time which meant it was 03:00 in the UK. I’d been awake for nearly 18 hours and my bed for the next 5 nights was a welcome sight.